The first business incubator approved under the Alberta Entrepreneurship Incubator Program will be located in Medicine Hat. The Apex Incubator will receive more than $342,000 over two years to increase entrepreneurial capacity in southeastern Alberta. 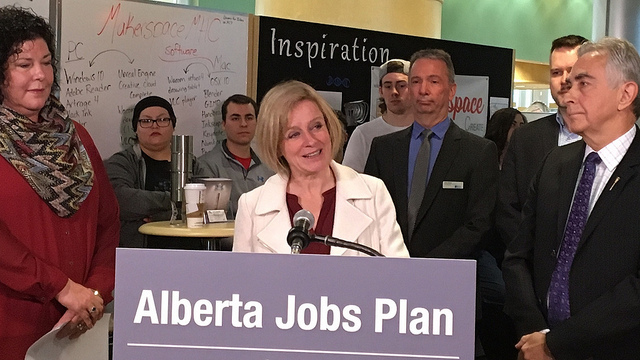 This is the first of several regional incubators planned to support startup businesses across the province under the Alberta Jobs Plan. The Alberta Entrepreneurship Incubator Program is a $10-million, two-year pilot, delivered through Alberta Innovates, to fund entrepreneur development and mentor support programs in existing or new incubator spaces for business creativity, collaboration, and synergy. The program will give entrepreneurs access to professional business development advisors who can help them move their ideas forward, navigate the greater innovation system supports and nurture the development of companies during the startup period. Alberta innovation programs have played an integral role in the success of our company, Atlantis Research Labs. The mentorship and funding provided by Alberta Innovates has helped us launch PureJet, a new technology to help oil and gas companies reduce emissions. Through the support of the province of Alberta, the company has expanded significantly and is positioned for additional future growth domestically and abroad.Vladimir Mravcak, President – CEO, Atlantis Research Labs Inc.